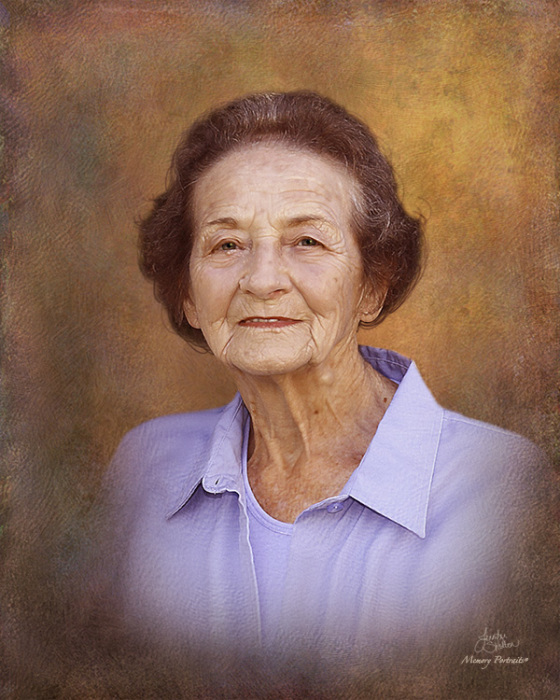 Corrine Reynolds Swofford, 86, went home to be with Christ on January 17th, 2019. At the center of her life were her husband of 68 years, her family, and her church, El Bethel United Methodist Church. She was well loved for her feisty spirit and fierce independence. She was information central and the family event planner. She was the glue that binds us all. Her love of the farm and gardening were a joy to her as were UNC basketball and the Atlanta Braves. Cold bread pudding, sourdough bread, and other favorites were always on the menu at family events. She owned Swofford’s Upholstery and worked in the public-school system cafeterias. Corrine is survived by her husband, Howard Swofford; children Wayne and Faye Swofford, Michael and Melissa Swofford, Diana and Dale Blanton, Cindy and Steve Jones, and Robert and Janet Swofford; grandchildren, Jenny Swofford, Jeffrey and Katie Blanton, Melanie Swofford, Brian Blanton, Jeremy and Melissa Swofford, Kimberly and David Tucker, Cameron Swofford and Grace McAlexander, Jonathan and Paige Swofford, and Rebecca Swofford; twelve great-grandchildren; and sister, Myrtle Greene. Corrine was preceded in death by her parents Edward and Wilma Reynolds, step-mother Josephine Reynolds, sister, Edna Gantt, and brothers, Raymond Reynolds and Alfred Reynolds. In lieu of flowers, memorials may be made to El Bethel United Methodist Church or a charity of your choice.